Similar-looking ecommerce and media-oriented apps, like Facebook, are causing consumers to donate the same amount of attention to both kinds of apps. And that’s not very much, says Jampp, an ad placement network. So much so, that the firm says there’s been an 88 percent reduction in ecommerce app attention span year over year, based on the first quarter of 2016. Session length for ecommerce apps is down 35 percent. 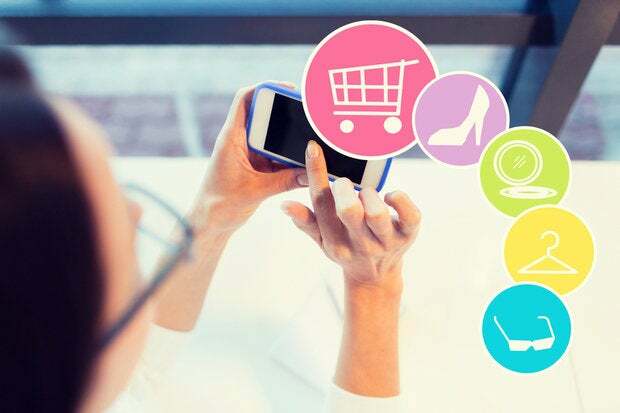 The firm blames the attention downturn on the fact that consumers are starting to look at ecommerce apps the same way they look at media and social apps—which is fleetingly. That’s a problem if you’re trying to sell something in less than 60 seconds, which is the time people now spend in apps, according to the company. It’s conceivably not enough time to buy anything. In many business models, the initial cost of acquiring a customer, and his first purchase, often needs to be amortized over multiple purchases. The cost of the ad buy, along with app development costs, have to be spread out. Yet businesses are finding it harder to keep loyal customers—and that will become exacerbated if attention span dissipates, which is what appears to be happening in mobile apps. “In a rapid on-the-go world, ecommerce mobile apps are specifically at jeopardy because these businesses are competing for the same media attention that consumers are spending on other apps like Facebook, Snapchat, Twitter and games,” Jampp’s study explains. One manifestation of the attention span problem is that people simply drift away. “If your app users don’t purchase in the first few days after install, it’s likely they never will,” Jampp says in a press release. Different kinds of apps have differing responses, though, Jampp found in its study. Taxi apps have to convert customers almost immediately because 70 percent of conversions happen on the day of installation, with less in the following days, and virtually none 14 days after installation. Travel apps are less immediate. Under half (45 percent) of the first travel reservations are made on the first install day. Fashion app users are the most lenient towards the poor marketers. Ninety percent of conversions happen sometime between day one and the 31st day. Re-engagement campaigns, like notifications, which Jampp organizes for companies, make those numbers relevant. Jampp isn’t the only one to suggest app sessions are getting shorter. Long period use of phones is unusual, researcher Dscout recently found. “In general, people prefer lots of little sessions with breaks in between,” it discovered during a recent study. “Given the decline in user session length, we can assume that consumers are either making purchasing decisions faster or they are getting distracted and losing focus during the purchasing funnel,” Jampp says. One solution: figure out how to get “consumers to spend more time in the right places within the app.” Or come up with the app’s replacement, whatever that will be.